Abstract: This proposed paper proposes the controlling of Induction motor drives. The induction motor dynamics can be compared to that of a DC motor with fast transient response if the flux producing and torque producing components of the stator current can be controlled independently which means it is possible to control the amplitude and phase angle independently. For high performance, variable speed applications, the Induction Motors are used widely due to its low cost, low maintenance, requirement, robustness and reliability, thus replacing the DC motor drives. For wide range of speed applications and fast torque response, IMs perform satisfactory with the vector control strategy. Because of low maintenance and robustness, induction motors have many applications in industries. Speed control of induction motor is more important to achieve maximum torque and efficiency. Various control techniques such as scalar control, vector control, Sensor-less control are used. These Schemes suffers from parameter sensitivity and limited performance at low speed of operation. To make the system sensorless, we go for rotor speed estimation using direct synthesis of state equation, as the closed loop control requires the speed sensor. By using speed sensor, the IM becomes more costly and less reliable and increased maintenance cost. The different simulation results are observed and studied and the analysis of the different simulated results are presented. Keywords: sensorless, direct synthesis, drive, vectorcontrol. 2. T.A.Lipo and P.C.Krause, ‘Analysis and Simplified Representations pf a Rectifier-Inverter Induction Motor Drive’ IEEE Trans.Power App.Syst.vol. PAS-88,pp 588-596, May 1969. 3. Edward P.Carnell and T.A.Lipo, ‘Modeling and Design of Controlled Current Induction Motor Drive systems’ IEEE Trans.Indu.Appl.IA-13, pp.321-330, July/August 1977. 4. Joachim Holtz, ‘Sensor less Control of Induction motor Drives’ Proceedings of the IEEE, Vol.90, no.8.August 2002. 5. Miran Rodic, ‘Speed Sensor less Sliding Mode Torque Control of Induction Motor’ IEEE Trans. On Indu. Elect. Frebravary 25, 2002. 6. Young-Real Kim, ‘Speed Sensor less Vector Control of Induction Motor Using Extended Kalman Filter’, IEEE Trans.on Indu.Appl. Vol.30 no.5 September/October 1994. 7. Tsugutoshi Othani, Noriyuki Takada and Koji Tanaka, “Vector control of induction motor without shaft encoder,” IEEE Trans. Ind. Applicat., Vol. 28, No. 1, Jan/Feb 1992, pp.157-164. 8. Casadei, G. Serra, and A. Tani , “Sensitivity investigation of a speed sensorless induction motor drive based on stator flux vector control,” International Conf. Rec. PESC’ 97 , St. Louis, MI, June 22-27,1997, pp. 1055-1060. 9. N. Nash, “Direct torque control, induction motor vector control without an encoder,” IEEE Trans. Ind. Applicat., Vol.33, pp. 333-341, Mar/Apr 1997. 10. M. Vélez-Reyes, K Minami, G. C. Verghese, “Recursive speed and parameter estimation for induction machines,” IEEE Ind. Applicat. Society Meeting, San Diego, 1989. 11. F.Z.Peng, T.Fukao “Robust Speed Identification for Speed Sensorless Vector Control of Induction Motors” IEEE Trans. IA vol. 30, no. 5, pp.1234-1239, Oct.1994. 12. C.Schauder “Adaptive Speed Identification for Vector Control of Induction Motor without Rotational Transducers” IEEE Tran. on Ind. Appl., vol. 28, no. 5, pp. 1054 1061,Oct.1992. 13. C.C. Chan and H. Q. Wang, “New scheme of sliding mode control for high performance induction motor drives,” IEEE proc. On Electric Power Applications, vol. 143, no. 3, May 1996, pp. 177-185. 14. D. A. Bradley, C. D. Clarke, R M. Davis, and D.A. Jones, “Adjustable frequency inverters and their application to variable speed drives," IEE Proc., Vol. 111, No. 11, Nov. 1964. Abstract: A Variable-Frequency Drive is a type of adjustable-speed drive used in Electro-Mechanical drive systems to control the AC motor speed and torque by varying motor input frequency and voltage. Variable-Frequency Drives are used in applications ranging from small appliances to the largest of mine mill drives and compressors. Over the last four decades, Power Electronics technology has reduced Variable-Frequency Drive cost and size and has improved performance through advances in semiconductor switching devices, drive topologies, simulation and control techniques, and control hardware and software. The speed control of the Variable-Frequency Drive is of two types; Scalar and Vector. Scalar Control is based on the relationships valid in the steady state conditions, only magnitude and frequency of voltage, current and flux linkage are controlled. Vector Control is based on relationships valid for dynamic states, not only magnitude but also instantaneous positions of voltage , currents and flux. Direct Torque Control is one of the Vector Control method to control the Variable Frequency Drives. The main drawback of the DTC of IMD using conventional PI controller based SR is high torque, stator flux ripples and speed of IMD is decreasing under transient and steady state operating conditions. The work of this project is to study, evaluate and compare the technique of the conventional DTC and DTC-FLC applied to the induction machines through MATLAB/simulink. Keywords: Induction Motor Drive, Direct Torque Control (DTC), Fuzzy Logic Controllers (FLC). 1. Abdesselam Chikhi1, Mohamed Djarallah “Comparative Study Of Field-Oriented control And Direct-Torque Control Of Induction Motors using An Adaptive Flux observer” in Serbian journal of Electrical Engineering vol.7, no.1, may 2010. 2. 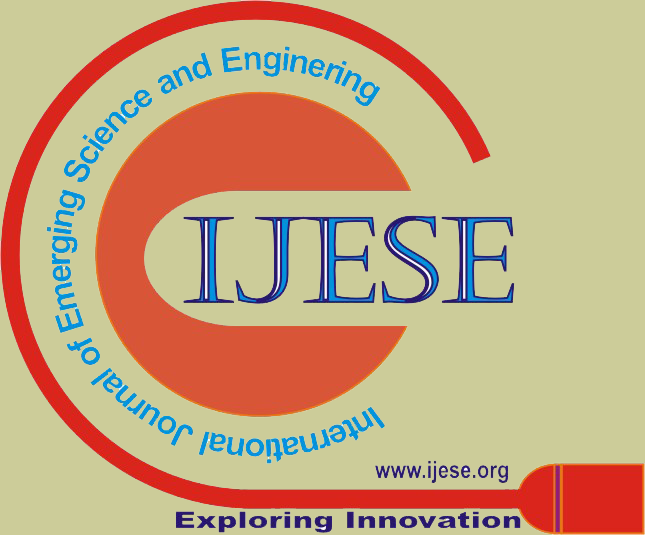 Ahmet Gani , Mustafa Sekkeli , “Speed Control of Direct Torque Controlled Induction Motor By using PI, and Fuzzy Logic Controller” in Intelligent Systems and Applications in Engineering(IJISAE). 7. P. Grabowski "Direct Flux and Torque Neuro-Fuzzy Control of Inverter Fed Induction Motor Drives",Warsaw University of Technology, 1999. 8. Turki Y. Abdalla, Haroution Antranik Hairik, Adel M. Dakhil, “Minimization of Torque Ripple in DTC of Induction Motor Using Fuzzy Mode Duty Cycle Controller,” 2010 1st International Conference on Energy, Power and Control, November 2010, 237-244. 9. R. Rajendran and Dr. N. Devarajan presented a paper on “A Comparative Performance Analysis of Torque Control Schemes for Induction Motor Drives” in International Journal of Power Electronics and Drive System (IJPEDS) Vol.2, No.2, June 2012, pp. 177~191. 10. Srinivas Rao and Avinash, “SVPWM Based Speed Control of Induction Motor Drive Using V/F Control Based 3- Level Inverter. Abstract: The system configuration including green power generator, energy storage element, dc appliance and equipment, and energy management system (EMS) with fuzzy logic will be introduced. The proposed integrated circuit allows the machine to operate in motor mode or acts as boost inductors of the boost converter, and thereby boosting the output torque coupled to the same transmission system or dc-link voltage of the inverter connected to the output of the integrated circuit. In motor mode, the proposed integrated circuit acts as an inverter and it becomes a boost-type boost converter, while using the motor windings as the boost inductors to boost the converter output voltage. Enhancement of a renewable power management system with intelligence control techniques (Fuzzy) for a micro grid system. Modeling, analysis, and control of distributed power sources and energy storage devices with MATLAB/ Simulink are proposed, and the integrated monitoring EMS is implemented. To improve the life cycle of the battery, intelligence control techniques manage the desired state of charge. The controller is to optimize energy distribution and to set up battery state of charge SOC parameters. In the development of the green energy systems, a control method is required to optimize energy distribution of a micro grid system. The design concept of this study was to increase the useful life of lithium batteries and to include charge and over discharge protection mechanisms. The power generator includes PV panels, wind turbines, and fuel cells. The fuel cells provide base power for the emergency loads when the system is operated during a power failure. Maximum power point trackers are associated with PV panels and wind turbines to draw maximum power, which is fed into the dc grid. The loads are connected to the grid and supplied from the grid directly. If there is power shortage, the bidirectional inverter will take power from the ac grid and it is operated in rectification mode with power factor correction to regulate the dc grid voltage within a range of 380 ± 20 V.
 H. Rongxian, L. Zhiwen, C. Yaoming, W. Fu, and R. Guoguang, “DC micro-grid simulation test platform,” in Proc. 9thTaiwan Power Electron. Conf., 2010, pp. 1361–1366. S. Morozumi, “Micro-grid demonstration projects in Japan,” in Proc. IEEE Power Convers. Conf., Apr. 2007, pp. 635–642. Y. Uno, G. Fujita, R. Yokoyama, M. Matubara, T. Toyoshima, and T. Tsukui, “Evaluation of micro-grid supply and demand stability for different interconnections,” in Proc. Power Energy Conf., 2006, pp. 611–616. M. HabibUllah, T. S. Gunawan, M. R. Sharif, and R. Muhida, “Design of environmental friendly hybrid electric vehicle,” in Proc. IEEE Conf.Comput. Commun. Eng., Jul. 2012, pp. 544–548. Experience in Developing and Promoting 400 V DC Datacenter Power, T. V. Aldridge, Director, Energy Systems Research Lab, Intel Corporate Technology Group, Green Building Power Forum, Jun. 2009. Maximizing Overall Energy Efficiency in Data Centres, S. Lidstrom, CTO, Netpower Labs AB, Green Building Power Forum, Jun. 2009. Renewable Energy & Data Centers, J. Pouchet, Director Energy Initiatives, Emerson Network Power., Green Building Power Forum, Jun. 2009. Development of Higher Voltage Direct Current Power Feeding System in Data Centers, K. Asakura, NTT Energy/Environment, Green Building Power Forum, Dec. 2010. M. B. Camara, B. Dakyo, and H. Gualous, “Polynomial control method of DC/DC converters for DC/DC converters for DC-Bus voltage and currents management-battery and supercapacitors,” IEEE Trans. Power Electron., vol. 27, no. 3, pp. 1455–1467, Mar. 2012. F.-J. Lin,M.-S. Huang, P.-Y.Yeh, H.-C. Tsai, and C.-H.Kuan, “DSP-based probabilistic fuzzy neural network control for li-ion battery charger,” IEEE Trans. Power Electron., vol. 27, no. 8, pp. 3782–3794, Aug. 2012. M. F. Naguib and L. Lopes, “Harmonics reduction in current source converters using fuzzy logic,” IEEE Trans. Power Electron., vol. 25, no. 1, pp. 158–167, Jan. 2010. W. Baosheng, “A controllable rectifier wind and solar hybrid power system based on digital signal processor developed,” M.S. thesis in electrical engineering, National Taiwan University of Science and Technology, Taipei, Taiwan, 2009. I. Cvetkovic, D. Boroyevich, P.Mattavelli, F. C. Lee, and D. Dong, “Nonlinear, Hybrid Terminal Behavioral Modeling of a DC-based Nanogrid System,” in Proc. Appl. Power Electron. Conf., 2011, pp. 1251–1258. “Design and Implementation of Energy Management System With Fuzzy Control for DC Microgrid Systems” by Yu-Kai Chen, Member, IEEE, Yung-Chun Wu, Chau-Chung Song, and Yu-Syun Chen. R.-J. Wai and L.-C. Shih, “Adaptive fuzzy-neural-network design for voltage tracking control of a DC–DC boost converter,” IEEE Trans. Power Electron., vol. 27, no. 4, pp. 2104–2115, Apr. 2012. L. Zhengmin and C. Mingzong, “Small stand-alone wind turbine device characteristics analysis,” M.S. thesis in electrical engineering, Southern Taiwan University of Science and Technology,Tainan, Taiwan, vol. 35, May 2010. R. Bharanikumar and A. N. Kumar, “Analysis of wind turbine driven PM generator with power converter,” Int. J. Comput. Electr. Eng., vol. 2, no. 4, pp. 766–769, Aug. 2010. Development of Socket-outlet Bar and Power Plug for 400 V Direct Current Feeding System, T. Yuba, R&D Manager, Fujitsu Components Ltd. Green Building Power Forum, Jan. 2010. Abstract: Rough set theory has emerged as a useful mathematical tool to extract conclusions or decisions from real life data involving vagueness, uncertainty and impreciseness and is therefore applied successfully in the field of pattern recognition, machine learning and data mining. This paper presents basic concepts and terms of rough set theory. The paper also presents hybridization approach of rough sets with various other established techniques along with developments from time to time. Keywords: Pattern recognition, rough sets, hybridization of rough sets, neural networks, fuzzy sets. 2. Zdzishaw Pawlak, Andrzej Skowron, “Rudiments of rough sets,” Information Sciences, vol. 177, 2007, pp. 3-27. 3. L. P. Khoo, S. B. Tor and L. Y. Zhi, “A Rough-Set-Based Approach for Classification and Rule Induction,”Int J AdvManufTechnol , vol.15,1999, pp. 438-444. 8. Zuqiang Meng, Zhongzhi Shi, “Extended rough set-based attribute reduction in inconsistent incomplete decision systems,” Information Sciences, vol. 204, 2012, pp. 44-69. 11. Asif Sikander Iquebal, Avishek Pal, Darek Ceglarek, Manoj Kumar Tiwari, “Enhancement of Mahalanobis – Taguchi System via rough sets based feature selection,” Expert Systems with Applications, In Press, 2014. 12. Darshit Parmar, Teresa Wu, Jennifer Blackhurst, “MMR: An algorithm for clustering categorical data using Rough Set Theory,” Data & Knowledge Engineering, vol. 63, 2007, pp. 879-893. 16. Shoji Hirano, Shusaku Tsumoto, Rough representation of a region of interest in medical images , International Journal of Approximate Reasoning, vol. 40, 2005, pp. 23-34. 17. B. S. Ahn, S.S. Cho, C.Y. Kim, “The integrated methodology of rough set theory and artificial neural network for business failure prediction,” Expert System with Applications, vol. 18,2000, pp. 65-74. 18. Y. Y. Yao ,“Constructive and algebraic methods of the theory of rough sets,” Journal of Information Sciences,vol. 109, 1998, pp. 21-4. 19. Mohamed Quafafou, “α-RST: a generalization of rough set,“Information Sciences, vol.124, 2000, pp. 301-316. 20. Huaguang Zhang, Hongli ,Derong Liu, “Two new operators in rough set theory with applications to fuzzy sets,” Information Sciences, vol. 166, 2004, pp. 147-165. 21. Van-Nam Huynh, Yoshiteru Nakamori, “A roughness measure for fuzzy sets,” Information Sciences, vol. 173, 2005, pp. 255-275. 22. Dominik Slezak, Wajciech Ziarko, “The investigation of the Bayesian rough set model,” International Journal of Approximate Reasoning, vol. 40, 2005, pp. 81-91. 24. Zdzishaw Pawlak, Andrzej Skowron, “Rough sets: Some extensions,” Information Sciences, vol. 177, 2007, pp. 28-40. 26. Joseph P. Herbert, JingTao Yao, “Criteria for choosing a rough set model,” Computer and Mathematics with Applications, vol. 57, 2009, pp. 908-918. 28. Degang Chen, Qiang He, Xizhao Wang, “FRSVMs : Fuzzy rough set based support vector machines,” Fuzzy Sets and Systems, vol. 161, 2010, pp. 596-607. 31. XiuyiJia, Zhenmin Tang, Wenhe Liao, Lin Shang, “On an optimization representation of decision-theoretic rough set model,”International Journal of Approximate Reasoning, vol. 55, 2014, pp. 156-166. 35. Rechard Jensen and Qiang Shen, Computational Intelligence and Feature Selection- Rough and Fuzzy Approaches, New Jersey: John Weley and Sons, 2008. 36. George J. Klir and Bo Yuan, Fuzzy sets and Fuzzy logic Theory and Applications, New Jersey : Prentice-Hall, 1995. 37. Ilona Jagielska, Chris Matthews and Tim Whitfort, An Investigation into the application of neural networks, fuzzy logic, genetic algorithms, and rough sets to automated knowledge acquisition for classification problems, Neurocomputing, vol. 24, 1999, pp. 37-54. 38. Qiang Shen, Alexios Chouchoulas, A rough-fuzzy approach for generating classification rules, Pattern Recognition, vol. 35, 2002, pp. 2425-2438. 39. Amitava Roy, Sankar K. Pal, Fuzzy discretization of feature space for a rough set classifier, Pattern Reconition Letter, vol. 24, 2003, pp. 895-902. 40. Ying-Chieh, Tsai, Ching-Hsue Cheng, Jing-Rong Chang, “Entropy-based fuzzy rough classification approach for extracting classification rules,” Expert Systems with Applications, vol. 31, 2006, pp. 436-443. 41. Manish Sarkar, Fuzzy-rough nearest neighbour algorithms in classification, Fuzzy Sets and Systems, vol. 158, 2007, pp. 2134-2152. 42. Qiang Shen, Richard Jensen, Rough Sets, Their Extensions and Applications, International Journal of Automation and Computing, vol. 04(3), 2007, pp. 217-228. 43. Degang Chen, Qinghua Hu, Yongping Yang, Parameterized attribute reduction with Gaussian kernel based fuzzy rough sets, Information Sciences, vol. 181, 2011, pp. 5169-5179. 44. Qinghua Hu, Shuang An, Xiao Yu, Daren Yu, Robust fuzzy rough classifiers, Fuzzy Sets and Systems, vol. 183, 2011, pp. 26-43. 45. Jianhua Dai, Rough set approach to incomplete numerical data, Information Sciences, vol. 241, 2013,pp. 43-57. 46. Neil Mac Parthalain, Richard Jensen, Unsupervised fuzzy-rough set-based dimensionality reduction, Information Sciences, vol. 229, 2013, pp. 106-121. 47. Yi Cheng, Forward approximation and backward approximation in fuzzy rough sets, Neurocomputing, In Press, 2014. 48. Yuhua Qian, Qi Wang, Honghong Cheng, Jiye Liang, Chuangyin Dang, “Fuzzy-rough feature selection accelerator,” Fuzzy Sets and Systems, In Press, 2014. 49. Bishop C.M., Neural Network for pattern Recognition, Oxford: Oxford University Press, 1995. 50. Simon Haykins, Neural Networks-A Comprehensive Foundation, Singapore : Pearson Education, 1999. 51. Roman W. Swiniarski, Larry Hargis, Rough sets as a front end of neural-networks texture classifiers, Neurocomputing, vol. 36, 2001, pp. 85-102. 52. J. Han, M. Kamber and J. Pei, Data Mining Concepts and Techniques, 3rded., USA: Margan Kaufmann, 2012. 53. Jollife T., Principal Component Analysis, New York: Sringer-Verlag, 1986. 54. Renpu Li, Zheng-ou Wang, Mining classification rules using rough sets and neural networks, European Journal of Operation Research, vol. 157, 2004, pp. 439-448. 55. Avatharam Ganivada, Soumitra Dutta, Sankar K. Pal, Fuzzy rough granular neural networks, fuzzy granules, and classification, Theoretical Computer Science, vol. 412, 2011, pp. 5834-5853. 56. Julio J. Valdes, Enrique Romero, Alan J. Barton, “Data and knowledge visualization with virtual reality spaces, neural networks and rough sets: Application to cancer and geophysical prospecting data,” Expert Systems with Applications, vol. 39, 2012, pp. 13193-13201. 57. Zhengyou He, Sheng Lin, Yujia Deng, Xiaopeng Li, Qingquan Qian, “A rough membership neural network approach for fault classification in transmission lines,” Electrical Power and Energy Systems, vol. 61, 2014, pp. 429-439. 58. Li-Pheng Khoo, Lian-Yin Zhai, A prototype genetic algorithm-enhanced rough set-based rule induction system, Computer in Industry, vol. 46, 2001, pp. 95-106. 59. Goldberg D. E., Genetic Algorithms in Search Optimization and Machine Learning,Oxford: Pearson Education, 2009. 60. Rechard Jensen, Qiang Shen, Fuzzy-rough data reduction with ant colony optimization, Fuzzy Sets and Systems, vol. 149, 2005, pp. 5-20 . 61. Marco Dorigo and Thomas Stutzle, Ant colony optimization, A Bradford Book, 2004. 62. Liangjun Ke, Zuren Feng, Zhigang Ren, An efficient ant colony optimization approach to attribute reduction in rough set theory, Pattern Recognition Letters, vol. 29, 2008, pp. 1351-1357. 63. Yijun He, Dezhaochen, Weixiang Zhao, Integrated method of compromise-based ant colony algorithm and rough set theory and its application in toxicity mechanism classification, Chemometrics and Intelligent Laboratory Systems, vol. 92, 2008, pp. 22-32. 64. Kuang Yu Huang, An enhanced classification method comprising a genetic algorithm, rough set theory and modified PBMF-index function, Applied Soft Computing, vol. 12, 2012, pp. 46-63. 65. Rechar O. Duda, Peter E. Hart, David G. Stork,Pattern Classification, 2nded, Wiley, 2001. 66. Yu-Neng Fan, Tzu-Liang Tseng, Ching-Chin Chern, Chun-Che Huang, “Rule induction based on an incremental rough set,” Expert Systems with Applications, vol. 36, 2009, pp. 11429-11450.67. Saroj K. Meher, “Explicit rough-fuzzy pattern classification model,”Pattern Recognition Letters, vol. 36,2014, pp. 54-61. 68. Aboul Ella Hassanien, “Fuzzy rough sets hybrid scheme for breast cancer detection,” Image and Vision Computing, vol. 25, 2007, pp. 172-183. 69. Renpu Li, Zheng-ou Wang, Mining classification rules using rough sets and neural networks, European Journal of Operation Research, vol. 157, 2004, pp. 439-448. 70. Shih-Hsun Chang, Shiuan Wan, “Discrete rough set analysis of two different soil-behavior-induced landslides in National Shei-Pa Park, Taiwan,” Geoscience Frontiers , In Press, 2014. 71. Shan-Wen Zhang, De-Shuang Huang, Shu-Lin Wang, “A method of tumor classification based on wavelet packet transforms and neighbourhood rough set,” Computer in Biology and Medicine, vol. 40, 2010, pp. 430-437. 72. You-Shyang Chen, Ching-Hsue Cheng, “Hybrid models based on rough set classifiers for setting credit rating decision rules in the global banking industry,” Knowledge-Based Systems, vol. 39, 2013, pp. 224-239. 73. Manish Sarkar, Ruggedness measures of medical time series using fuzzy-rough sets and fractals, Pattern Recognition Letters, vol. 27, 2006, pp. 447-454. 74. Qiang He, Congxin Wu, Degang Chen, Suyun Zhao, Fuzzy rough set based attribute reduction for information systems with fuzzy decisions, Knowledge-Based Systems, vol. 24, 2011, pp. 689-696. 75. Sankar K. Pal, Saroj K. Meher, SoumitraDutta, Class-dependent rough-fuzzy granular space, dispersion index and classification, Pattern Recognition, vol. 45, 2012, pp. 2690-2707. 76. V. Murlidharan, V. Sugumaran, “Rough set based rule learning and fuzzy classification of wavelet features for fault diagnosis of monoblock centrifugal pump,” Measurement, vol. 46, 2013, pp. 3057-3063. 77. Pawan Lingras, Cory Butz, Rough set based 1-v-1 and 1-v-r approaches to support vector machine multi-classification, Information Sciences, vol. 177, 2007, pp. 3782-3798. 78. Nele Verbiest, Chris Cornelis, Francisco Herrera, FRPS: A Fuzzy Rough Prototype Selection method, Pattern Recognition, vol. 46, 2013, pp. 2770-2782. Abstract: The enterprise level and the market level both are seeing a huge growth in the cloud computing. The resource is accessed in a large with better way and also globally. An individual or organization can lease the computational or storage resources, in return reducing the cost of the infrastructure. The resources optimization is one of the major issue faced in the cloud computing for the cloud service providers. Most of the optimization of resources allocation is done after the calculation of the resources needed and on the go. In this paper, a mathematical system model for the resource allocation using neural network with run time instrumentation has been proposed. The proposed model shows the better resource utilization. 2. Gunho Lee, Niraj Tolia, Parthasarathy Ranganathan, and Randy H. Katz, “Topology aware resource allocation for data-intensive workloads”, ACMSIG COMM Computer communication Review, 41(1):120--124, 2011. 3. Abhirami S.P and shalini Ramanathan, ”Linear Scheduling Strategy for Resource Allocation in Cloud Environment”, International Journal Of Cloud Computing: services and architecture ,Volume 2:N01 Feb 2012. 4. Dr.T.R. Gopalakrishnan Nair, P Jayarekha,” Pre-allocation Strategies of Computational Resources in Cloud Computing using Adaptive Resonance Theory-2”,International Journal on Cloud Computing: Services and Architecture(IJCCSA),Vol.1, No.2, August 2011,PP 31-41. 6. Daniel Calabuig, José Monserrat, David Gómez-Barquero, and Narcís Cardona ,“Hopfield Neural Network Algorithm for Dynamic Resource Allocation in WCDMA Systems”, IEEE 2006 PP 40-44. 7. Paolo Campegiani ,Universit`a di Roma Tor Vergata” A Genetic Algorithm to Solve the Virtual Machines Resources Allocation Problem in Multi-tier Distributed Systems”. Keywords: Encoding, multimedia, QoE, smartphone, usage context. 1. R. L. Stump, W. Gong, and Z. Li, “Exploring the digital divide in mobile-phone adoption levels across countries”, Journal of Macro Marketing, vol. 28, no. 4, 2008, pp397-412. 2. S. Buchinger, S, Kriglstein, S, Brandt, and H. Hlavacs, “A survey on user studies and technical aspects of mobile multimedia applications”, Entertainment Computing, vol. 2, no. 3, 2011, pp175-190. 3. M. Copcu, Y. B. Salman, and H. -I. Cheng, “The quality of perception for visual multimedia on the iPhone”, ICIC Express Letters, vol. 6, no. 3, 2012, pp. 711–716. 5. H. Jung, M. Copcu, Y. -H. Kim, H. -I. Cheng, “The quality of experience for multimedia on the iPhone in a transportation context”, ICIC Express Letter, vol. 7, no. 6, 2013, pp.1907-1912. 6. C. -H. Hsu, and M. Hefeeda, “Flexible broadcasting of scalable video streams to heterogeneous mobile devices”, IEEE Transactions on Mobile Computing, vol. 10, no. 3, 2011, pp.406-418. 7. M. Copcu, Effective setup of encoding factors to enhance QoP of moving images on mobile devices, PhD dissertation, 2012, Kyungsung University. 8. M. Copcu, H. –I. Cheng, “The quality of experience of multimedia on the smartphone in a walking context”, ICIC Express Letters Part B: Applications, vol. 5, no. 1, 2014, pp.163-168. 9. J. Y. C. Chen, and J. E. Thropp, “Review of low frame effects on human performance”, IEEE Transactions on systems, man, and cybernetics, Part A: Systems and Humans, vol. 37, no. 6, 2007, pp.1063-1076. 10. R. T. Apteker, J. A. Fisher, V. S. Kisimov, and H. Neishlos, “Video acceptability and frame rate”, IEEE Multimedia, vol. 2, no. 3, 1995, pp.1139-1144. 11. G. Ghinea and J. P. Thomas, “QoS impact on user perception and understanding of multimedia video clips”, Proc. Of the 6th ACM conference on Multimedia,1998, pp.49-54. 12. M. Lombard, T.B. Ditton, M. E. Grabe, and R. D. Reich, “The role of screen size in viewer response to television fare, Communication Reports, vol. 7, no.6, 1996, pp.95-106. 13. J. D. McCarthy, M. A. Sasse, and D. Miras, “Sharp or smooth? : comparing the effects of quantization vs. frame rate for stream video”, Proc. Of CHI ’04, 2004, pp. 535-542.